Do I need to hire an architect to design my new outdoor living space? 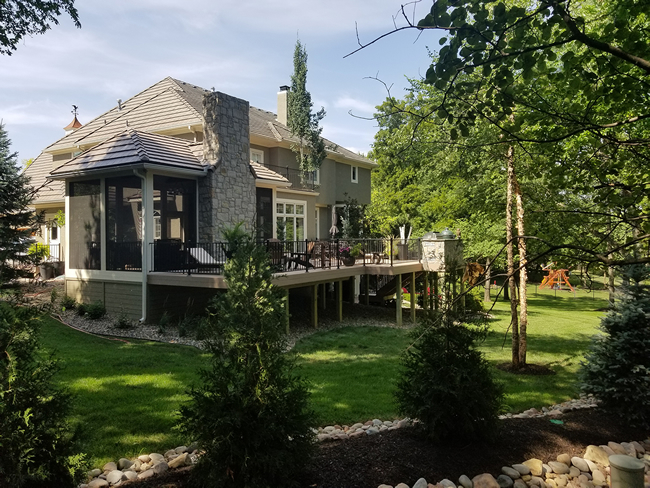 When it comes to designing your custom outdoor living space, Archadeck of Kansas City can design and build your project. There are a couple of reasons you may not want to hire an architect for your next outdoor project. First, depending on the builder you choose, that outdoor builder may include architectural design as part of the service you are purchasing. All of Archadeck’s projects are design/build construction, and come complete with architectural drawings, blue prints, and your build out. Outside of possibly over-purchasing by paying an outside architect to design your new space, there are a couple more reasons you may not want to hire an architect. First, architects can design an outdoor living space, but they do not specialize in outdoor living structures nor have specialized knowledge in outdoor living spaces and materials. As outdoor building is all we do, we are versed in outdoor material choices, such as low-maintenance decking and stone fireplace facades. We serve as your comprehensive provider for your outdoor living project. Hiring a specialist makes sense. You wouldn’t go to a general practitioner to perform a very specialized surgery. This may be the case if you hire a general practice architect. When we are contacted by homeowners that have already hired an architect for a design, we need to change a number of elements and often must scrap the design altogether, once we have explained the benefits of particular materials and addressed overlooked budgetary goals from the architect’s plan. With outdoor building, important design considerations include your budget, material selection, and maintenance levels to name a few. Your best bet is to work with a designer that has built hundreds of your type of project instead of an architect that may have just a handful of your type of project under his/her belt. If you hire an architect prior to hiring Archadeck to build your project, re-design will be required and it will add time, rework, and a much more significant investment to get your project underway. Prior to designing your outdoor living project, Archadeck will address product selections based on maintenance levels, as well as your intended use and design aesthetic – all the while being cognizant of your budgetary goals. Design renderings and blueprints are an important part of the design/build process. 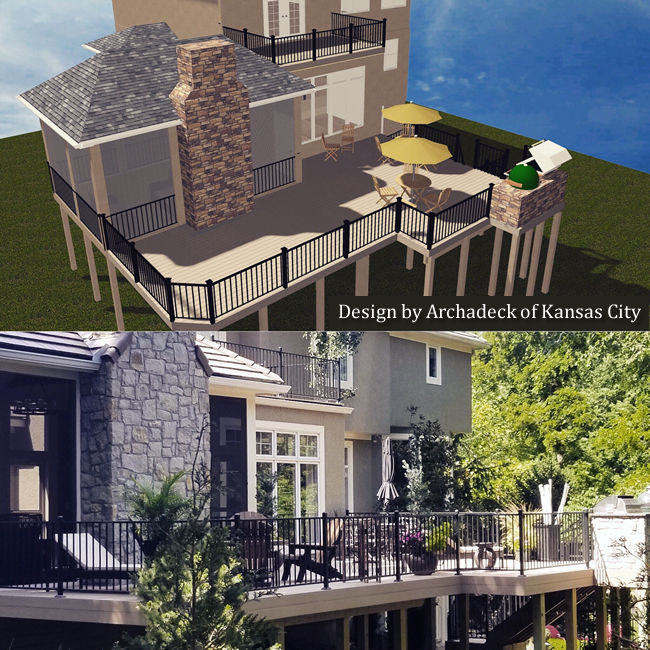 Archadeck of Kansas City will help you visualize your finished outdoor living addition with custom project renderings. 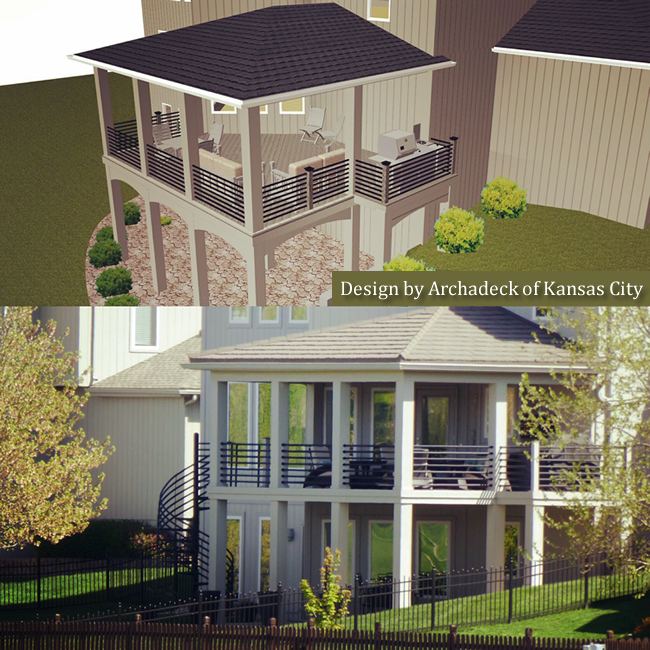 At Archadeck of Kansas City, we know that homeowners want to see what their project will look like. We provide 3-dimensional design renderings for your specific project and your home. In addition to design renderings, we create blueprints. Architectural plans for all Archadeck projects are built to meet or exceed local building codes. If you are planning a new outdoor living addition to your Kansas City area home, and have wondered whether or not you should hire an architect ahead of hiring a building contractor, we would like you to know that we are both your outdoor living design firm and building contractor. 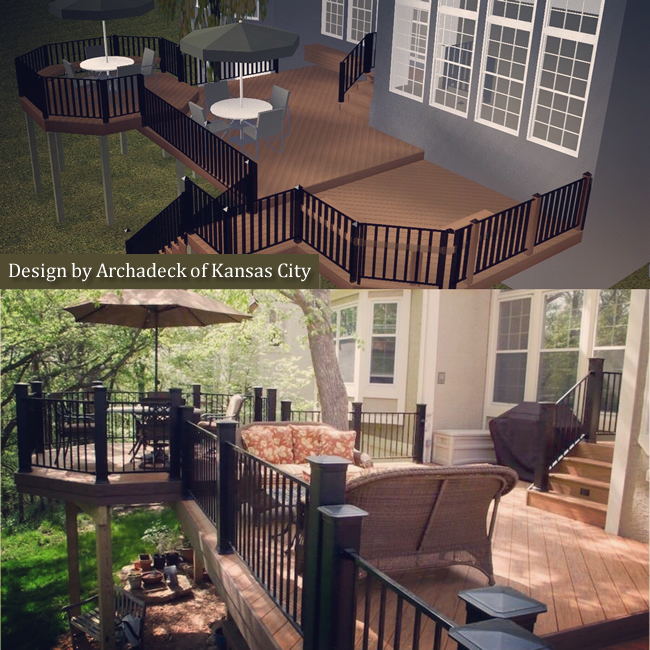 Archadeck of Kansas City is your turn-key outdoor living provider – from concept through completion.